Business records of Piper, Bakewell and Piper, solicitors, comprising land grants, conveyances, leases, wills, marriage settlements, powers of attorney, bills of sale and other deeds executed for both prominent and ordinary citizens. Arranged by number of deed packet. A special list for alphabetical index by surname is available. Piper, Bakewell & Piper are a firm of Solicitors (now known as Piper Alderman) which has been operating in South Australia from the early years of settlement. The records in BRG 73/1 consist of papers mainly from the years 1837 to 1900. These comprise mostly of land grants, conveyances and leases. There are also some wills, marriage settlements, deeds of separation, oaths of allegiance and a few inventories of hotels, clubs and houses. Names include George Fife Angas, Henry Ayers, Maria Gandy, Governor John Hindmarsh, Charles Cameron Kingston, Colonel William Light, the Montefiore family and Robert Torrens. Many ordinary citizens are also listed including fellmongers, brewers, farmers, doctors, cooks, hairdressers and even a prostitute. 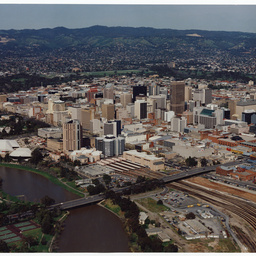 Organisations and buildings mentioned include the South Australian Company, Newmarket Hotel, Laura Brewing Company, Belle Vista house and the East End Market Company as well as numerous mining interests. Locations referred to include not only Adelaide and its environs but also Port Augusta, Goolwa, Kangaroo Island, Gawler, Port Lincoln and the Barossa Valley. The index comprises of about 11,000 entries and is divided into five columns: "Packet", "1st Party", "2nd Party", "Description" and "Year". The number in the "Packet" column is needed to request the papers from storage using BRG 73/1 as a prefix. Names (or locations) are listed in "1st Party" or "2nd Party". The "Description" column contains a brief synopsis of the contents of the papers. The year (if known) is listed in the final column. The index is in alphabetical order, not only of names but also of places. The entries in italics will be found under the name/s listed in the description column. This group also contains a number of plans and drawings relating to the building of the South Australian Electric and Motive Power Co. Ltd. 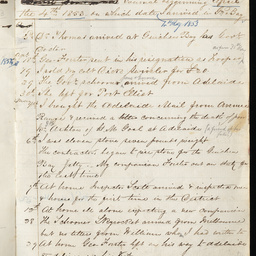 Private journal [book 1] kept by Police Trooper John Reynolds Ewens, 4 April 1853 to 15 March 1862 while assigned to Guichen Bay [Robe], Gawler Town, Port Elliot and Port Lincoln . His journal covers shipping movements, shark fishing and whale catching, trips to local areas, incidents of police interest and social activities and events. On August 15th 1859 (p.94) he briefly notes he heard that 22 persons were saved from the wreck of the 'Admella'. 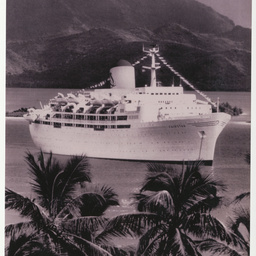 At the front is the signature 'H. Ewens 1857' [Harriet, his wife whom he married that year]; opposite are brief details of key dates in his life. There are numerous handwritten pencil annotations to the text throughout, probably by his son Leonard J. Ewens (b. 1878). Towards the centre of the journal (pp.79-80) there is a brief biographical outline of his life and activities. Other explanatory notes have been written on scraps of papers and placed in diary, mostly unrelated to text. A separate note (by L.J. Ewens?) 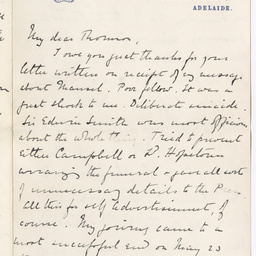 written on envelope is a summary of Ewens' work with Charles Todd found in diary entries. Papers of Sir Algernon Hawkins Thomond Keith-Falconer, Ninth Earl of Kintore, Governor of South Australia, comprising a collection of illuminated addresses presented to him (see special list for further details), and a private letter and stamped envelope from Governor Kintore to William Anstruther-Thomson (1859-1938) of the Royal Horse Guards, London, dated 14 June 1891.